Belle Vue Park is a triangular south-facing area on a steep slope near the centre of the town of Newport, South Wales, and was donated to the town in 1891 by Lord Tredegar, and designed by Thomas Mawson. 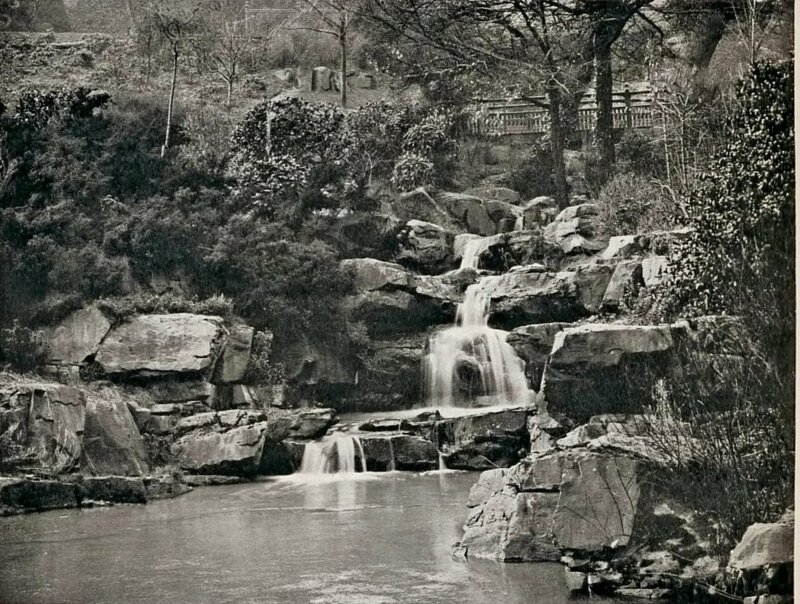 This was his first commission to design a public park, and he engaged James Pulham and Son to create the central rock water garden feature. In fact, it is thought that the Pulhams probably undertook the entire construction project, because nearly all of the features in the Park – the bridge, terraces, conservatories, balustrading, fountain and ornaments etc – carry all the hallmarks of their work. Mawson also used the Pulhams on several future projects. Posted on September 6, 2014 June 26, 2016 by Claude HitchingPosted in Book ContentsTagged . . James Pulham and Son, balustrading, Belle Vue Park - Newport, Claude Hitching, conservatories, Lord Tredegar, Rock Landscapes: The Pulham Legacy, Rock water garden feature, terraces, thomas mawson.